What’s the difference between the A and B-flat clarinet? Historically, clarinets have been created in every key signature except F# and C#. In the olden days, primitive key work prevented any single clarinet from easily accessing every key signature, so performing a piece in D major required use of a D clarinet. Over time as clarinet manufacturers improved the clarinet, the need for a clarinet army diminished. However, certain members of the clarinet family still remain, and composers use them for their different timbral qualities. Two of the most often-used clarinets are the B-flat and A clarinet. The B-flat clarinet is higher pitched and therefore a bit brighter. The lower A clarinet has a darker, richer sound quality because of the longer tube. Both clarinets have the same keyboard and fingerings. Do I need an A clarinet? You’re entering university as a music major. You want to perform the full range of clarinet repertoire (one can only perform Mozart and Schumann on the B-flat for so long without inciting the rage of the clarinet deities!). You want to play in orchestra. If you play primarily in bands, it is not necessary to own an A clarinet, as most pieces are specifically written for the B-flat clarinet. But hey, there’s no steadfast rule to buying A clarinets, so if you want one and have the financial means, go for it! When should I get an A clarinet? Most serious clarinetists purchase their first A clarinet in late high school or early college. If you foresee an A clarinet in your near future, begin saving money now so you can get the best model for you. Model & quality: The biggest difference between purchasing B-flat and A clarinets is that the majority of A clarinets produced are professional models. 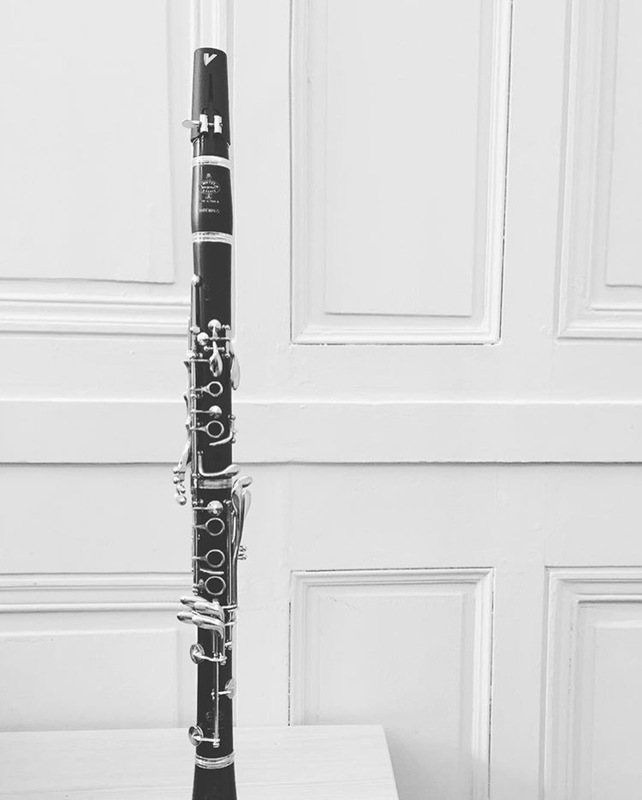 It is widely assumed that most clarinetists who are in the market for an A clarinet are serious students or young professionals, therefore there are few beginner or intermediate models available. As a result, the majority of A clarinets are wood, not plastic. I always recommend purchasing a professional model A clarinet – if you purchase an intermediate model to save money now, you’ll end up paying for it later when you have to upgrade to a better model. Brand: It’s best to have a matched set of clarinets, meaning that your A clarinet should ideally be the same brand (and perhaps model) as your B-flat. So, if you play on a Buffet Crampon R13 B-flat clarinet, you should start by trying out Buffet Crampon R13 A clarinets. This isn’t a requirement – in fact, many professional clarinetists have two completely different A and B-flat clarinets – but it is usually easier when you are switching between clarinets quickly in orchestra. New or vintage: I think newer is better ultimately, but vintage clarinets must be taken on a case-by-case basis. Clarinet manufacturers have made so many improvements with the A clarinet in the last few decades. Buying vintage clarinets can be a shot in the dark – you don’t know how well the previous owner cared for the clarinet, how often it was serviced, if it has any damage, how blown out the bore is, etc. Buying a used clarinet is like buying a used car – not always bad, but you never know exactly what you’re getting. I have personally tried all above models and highly recommend these to anyone searching for the perfect A clarinet. However, there are several other quality clarinet manufacturers which produce professional-level A clarinets. Where should I purchase my A clarinet? Once you’ve done a bit of preemptive research to determine brands, models, and price ranges which interest you, create a list of potential vendors. Like any smart musical investments, it’s best to try before you buy. Begin by visiting local music stores and dealers to see what they have available. If they don’t have a wide selection, scout out local, regional, and national clarinet events (such as ClarinetFest or Clarinet Days at nearby schools and universities) to try a larger selection of A clarinets. Since you’re probably buying a professional quality A clarinet, you should avoid buying sight unseen (or in this case, clarinet unheard) online. However, some vendors have programs in place where you can order a few clarinets to try, select your favorite, and return the rest. This is great if you don’t have many local options. Remember, this is an important musical investment, so try as many different clarinets as you can to find the perfect A clarinet for you – don’t be in a rush to make a decision or settle for good enough! Do I need a new mouthpiece? Nope! Most clarinetists use the same mouthpiece for both clarinets. Barrel. Some clarinetists find a universal barrel which fits both their A and B-flat clarinets to make switching between the two easier. Ligature. If you’re switching mouthpieces, make sure you have a ligature that doesn’t slide around or scratch the mouthpiece when you make the switch. I use the Vandoren M/O ligature which comes in a variety of finishes (FYI, I use rose gold – or as I like to call it, millennial pink). Additional clarinet peg or stand. Don’t forget to buy a new stand for your new A clarinet so it has somewhere to (safely) rest when you’re not holding it. New repertoire! Now that you have an awesome A clarinet, it’s time to buy some repertoire! My top picks are the Mozart Concerto, Brahms Quintet, Schumann Fantasy Pieces, and Nielsen Concerto. There’s an entirely new world of music out there awaiting you and your new clarinet! Whenever you buy a new wooden clarinet, you must break it in properly to avoid cracking or other damages. For the first few weeks, only play your A clarinet 15-20 minutes at a time. Swab at least this often (if not more!) to prevent the wood from becoming waterlogged. Over time, gradually increase the duration until you’re practicing your desired amount. Continue to swab often and monitor temperature and humidity levels. Don’t expose your clarinet (B-flat or A) to extreme or sudden environmental changes, such as temperature, humidity, or altitude. Replacing the register tube: Many clarinetists experience a stuffiness in the upper clarion register around A3. If you experience this, a skilled repair technician can determine if it’s caused by the register tube and can then replace it. Getting used to the larger keyboard: Even though the A clarinet shares the same fingerings as the B-flat clarinet, it is longer (around 3 centimeters, to be precise), and it can feel strange at first. Start by practicing long tones and slow scales to become accustomed. Tuning quirks: Clarinets are like snowflakes – no two are identical! As a result, each clarinet has its own tuning quirks and tendencies. As you get to become more familiar with your A clarinet, take note (pun intended) of any tuning issues which you should resolve, either through alternate fingerings or adjustments by a skilled repair tech. Read the music carefully. Now that you have full command of both A and B-flat clarinets, make sure you read music carefully so you perform on the correct clarinet! Brush up on your transposition skills. Make sure you can comfortably transpose from B-flat to A and vice versa. Throw in some E-flat and C transposition as well, just for fun! I wish you and your new A clarinet happy music-making as you explore the wonderful new world of repertoire at your disposal!